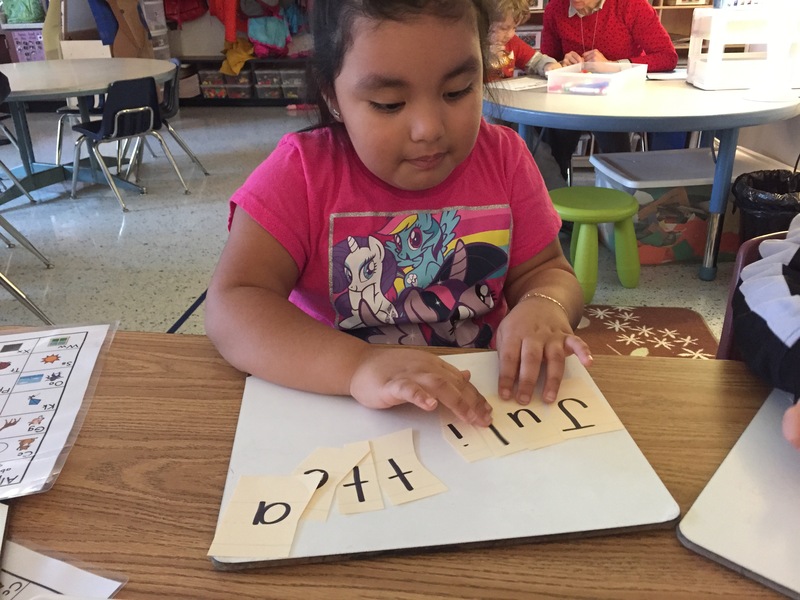 In my kindergarten class I have a wide range of learners – from the few who aren’t quite sure what a letter is to the few who are fluently reading Hattie and the Fox. I’m sure many of you can relate to this! I was reflecting on my work with the kids who had no known letters, or only a few, and wondering what our next steps were. I always start with the known, so names were my launching point. 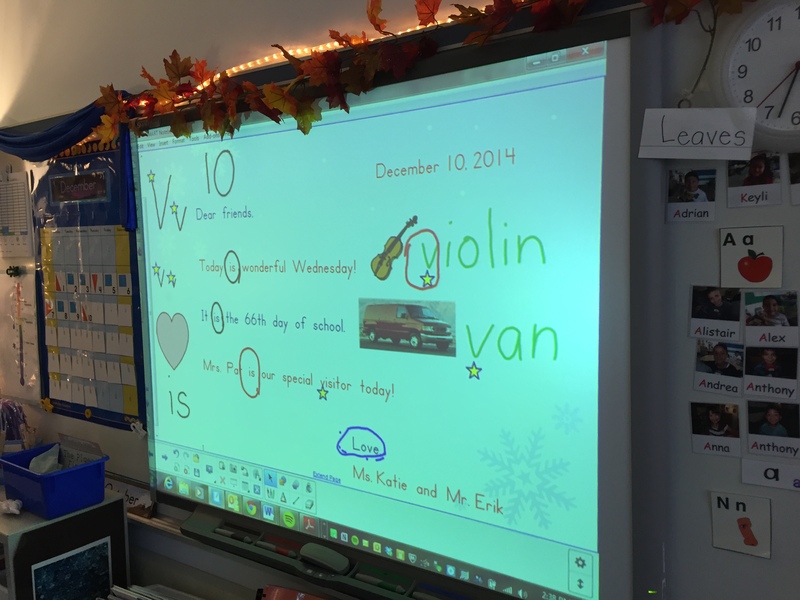 We did many name activities and these students were beginning to consistently know a few letters from their names. 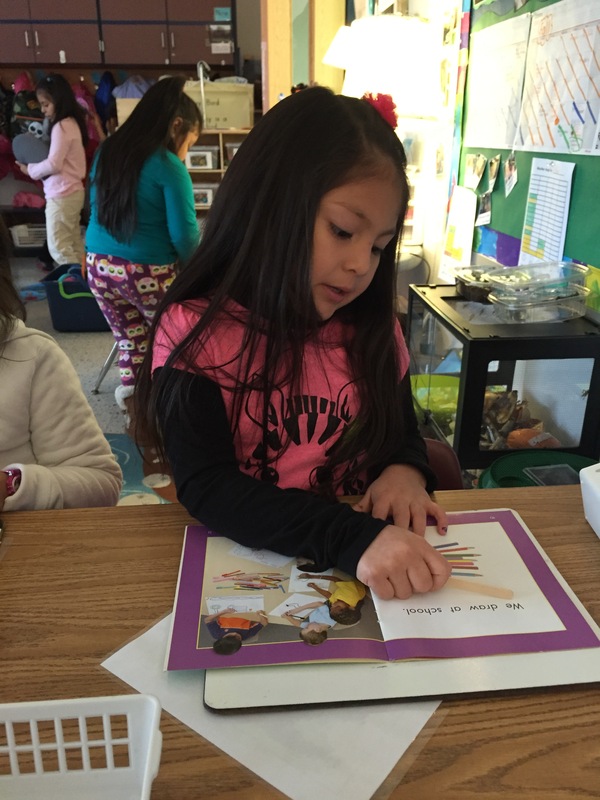 I wanted to create a book with them to keep in their book box and to help reinforce the teaching I was doing. These particular students were not quite ready to start an ABC book like the ones Pat and I refer to in Chapter 6 of Catching Readers. Since they had very limited letter knowledge, (2-5 known letters), I wanted to start with something more in their ZPD. So I decided to make them a “name book”. The cover of a name book. I made the books with enough pages for each letter in the child’s name and one additional title page. I wrote the full name (first name only – for now) on the cover, making the capital letters red and the lowercase letters blue. Then I put a picture of the child on the cover as well. 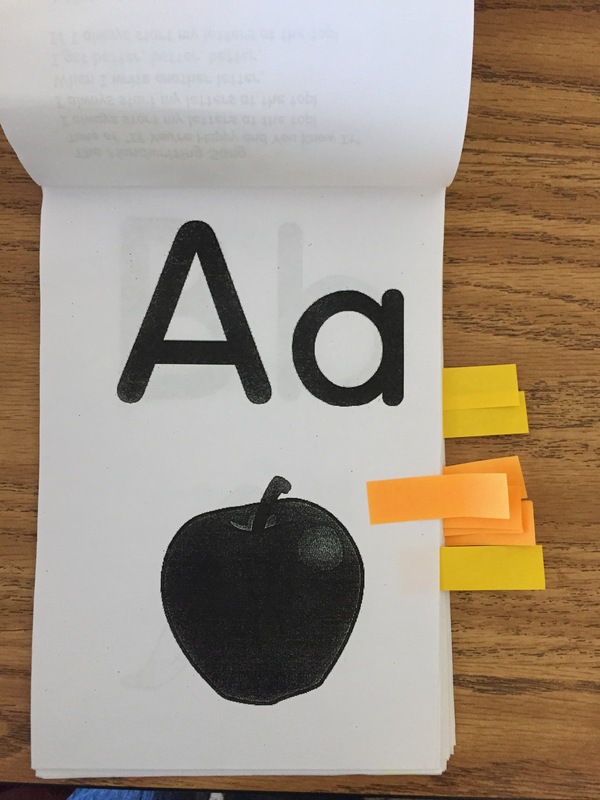 On the inside pages I wrote the letters of the child’s name – one per page – again with the capital in red and the lowercase in blue. 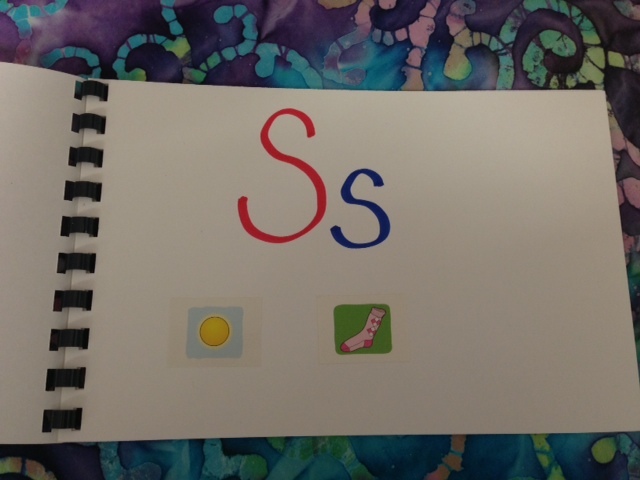 I sat down with each child as I created this and the child chose links (pictures or words) to go with each letter. They either put a sticker on that page or drew a picture. These books can now be read with the children, read independently and kept in book boxes or read with a buddy. Currently, I only made name books for my children who are working on learning their names and the letters in their names. But I think all the children would enjoy having one of these books. It would make a great book basket for our reading area and would allow children to learn each other’s names. 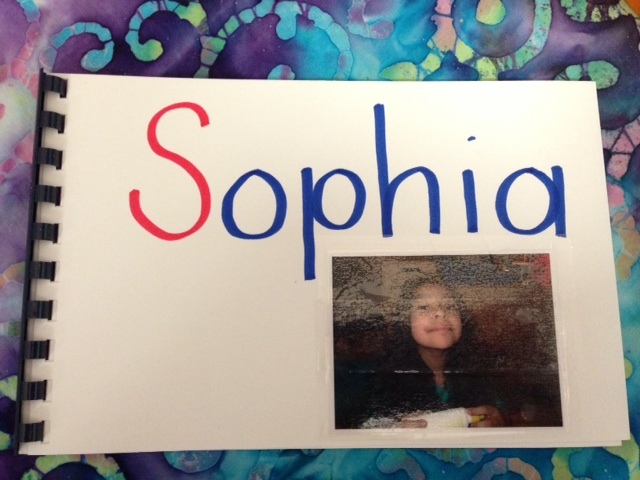 Names are such a powerful tool for teaching in the early grades. How else are you using children’s names to teach? 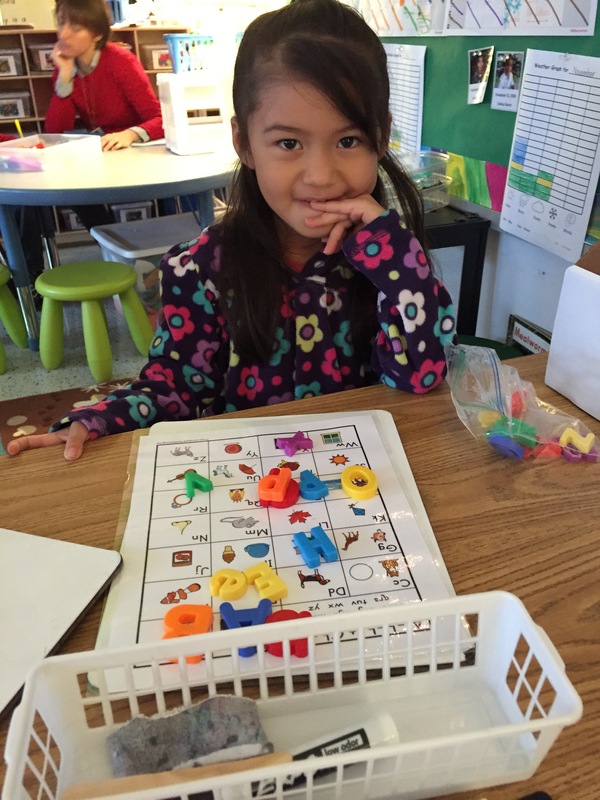 One of our favorite literacy stations is the sand boxes. I put a layer of colored sand in a plastic tub with letter beads. 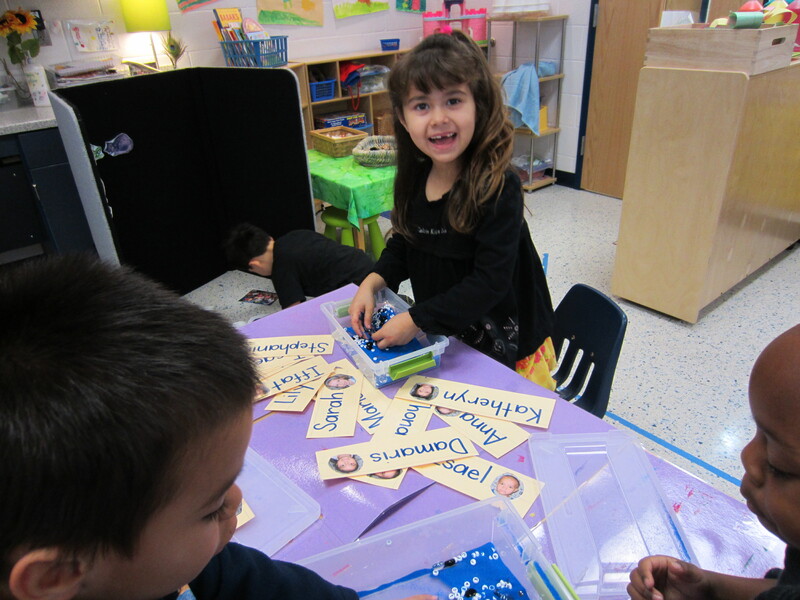 The children use class name cards to make names with the letters. They can also make the letters with their finger in the sand.